Sainsbury's and Asda have recently submitted to the Competition and Markets Authority (CMA) its responses to the CMA's Provisional Findings and Notice of Proposed Remedies, following a damning report, suggesting possible action would be made to block the deal entirely or insist the supermarket chains sell off a “significant” number of stores to a suitable party, and potentially ditch either the Sainsbury's or Asda brand. To deliver £1 billion of lower prices annually by the third year post-completion. To invest £300 million in the first year of the combination and a further £700 million over the following two years as the cost savings flow through. This would reduce prices by around 10% on everyday items. Sainsbury's will cap its fuel gross profit margin to no more than 3.5 pence per litre for five years; Asda will guarantee its existing fuel pricing strategy. 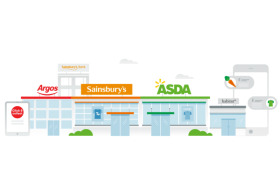 Sainsburys will move to pay small suppliers (turnover with the business of <£250k) within 14 days; and Asda will continue to pay its small suppliers within 14 days, in line with existing commitments. By securing lower purchasing prices from suppliers, predominantly by paying the lower of the two prices that Sainsbury's and Asda currently pay large suppliers for identical products. By putting Argos stores into Asda. By jointly buying shared goods and services and reducing central costs. The CMA is expected to publish Sainsbury's and Asda's responses to the Provisional Findings and Notice of Possible Remedies in due course. The final report is expected to be delivered by 30th April.